I’m very pleased with myself today, because I’ve managed to make gnocchi and it’s all thanks to Chicago John at From the Bartolini kitchens. Many years ago I made gnocchi a couple of times, more or less successfully, and then once or twice it was a disaster – the gnocchi dissolved in the cooking water leaving me with a sort of thin potato soup! This put me off and I didn’t try again until I saw Chicago John’s post the other day, which gave a detailed step-by-step recipe. 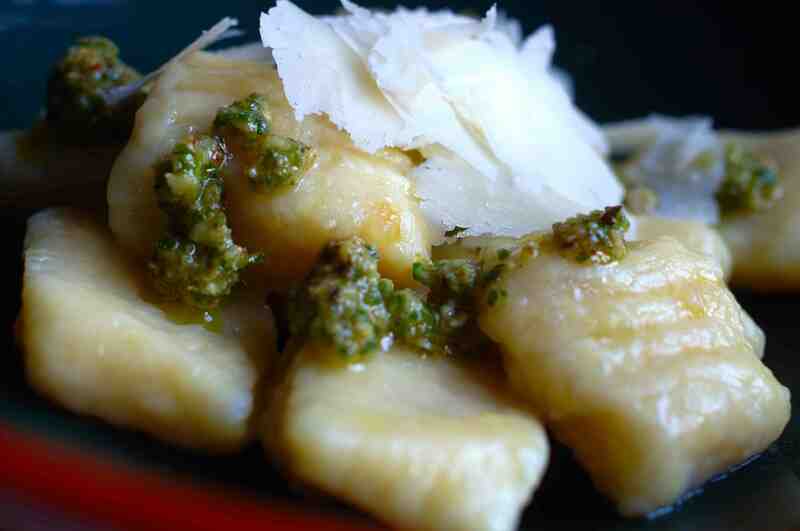 I followed this exactly, for the gnocchi themselves although I made a different sauce, and IT WORKED! I think the secret of success with this recipe is baking rather than boiling the potatoes, so that they are much drier than when I’ve made gnocchi before following recipes that advised boiling them. 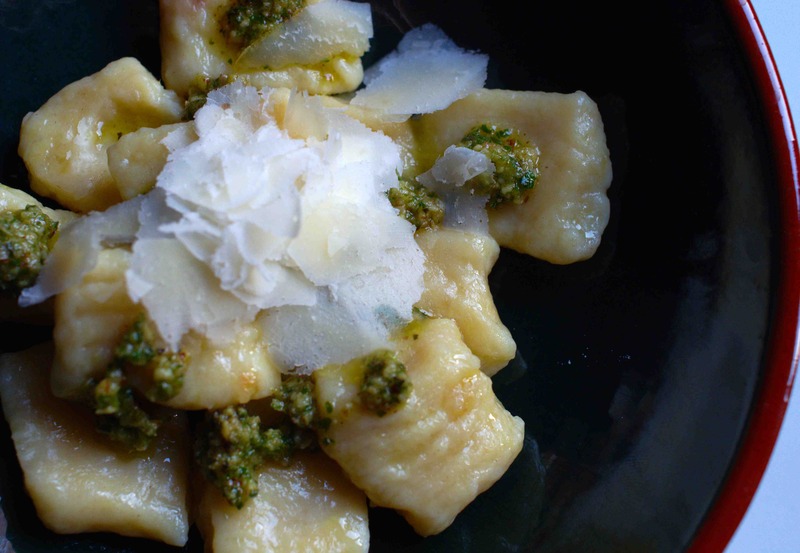 John served his gnocchi with gorgonzola and cream sauce, which sounds delicious, but I didn’t have either gorgonzola or cream so I served mine with oregano and hazelnut pesto and shaved Parmesan. I put half the gnocchi I’d made in the freezer so there’s a ready-made meal for another day too, maybe with a cheese sauce made with Roquefort as I probably won’t find gorgonzola here. Thank you very much, Chicago John!